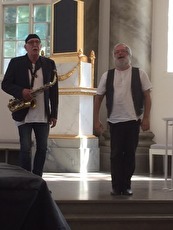 The alto saxophone player Håkan Lewin and the organist Johannes Landgren played their first concert together in Stora Tuna church, south part of Dalecarlia, Sweden in the fall 1998. 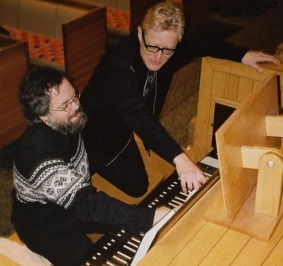 Johannes Landgren and Håkan Lewin 1998. 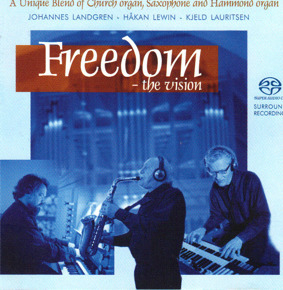 Recorded 1999 in the organ hall of the Academy of Music and Drama, Gothenburg. 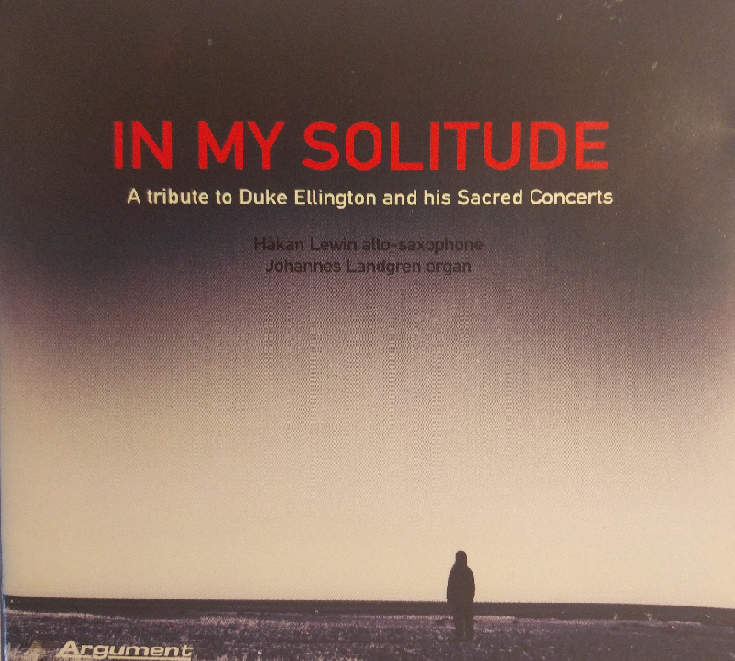 During the 100 year anniversary of Duke Ellington' birth, in the year of 1999, the duo visited many churches and music festivals in the Scandinavian countries. A. o. we were invited to play at the"Kalott Jazz and Blues Festival" in the far north of Sweden (Haparanda) and Finland (Tornio). 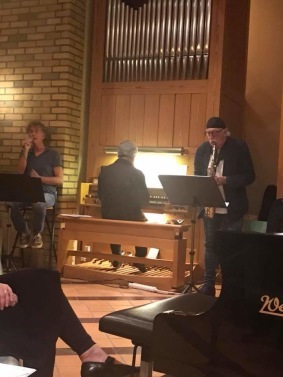 The concert was planned to take place in the beautiful wooden church in Tornio. However, there were different opinions within the church council, whether the music (from Duke Ellington's "Sacred Concerts") was suitable for the church, or not. 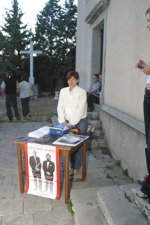 The council took a vote: 4 members of the council were against but 5 were in favour of having the concert in the church. 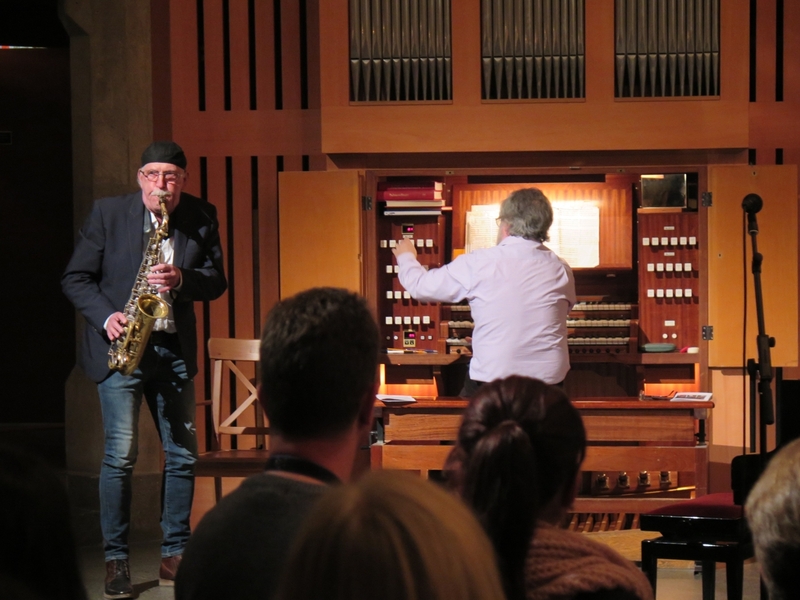 Luckily we were able to play for an enthusiastic audience in a crowded church. 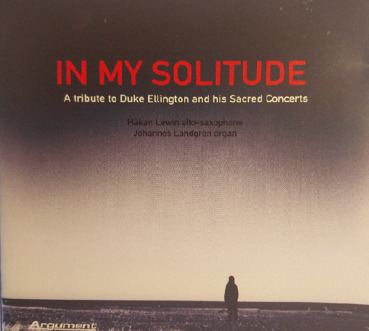 In the fall of 1999 we recorded the CD album "In My Solitude", where the music is composed eclusively by Duke Ellington and Billy Strayhorn. During hours and hours of touring we often discussed the increasing violence in the society and how we could be able to act in favour of a more peaceful and just society. Of course we were aware that our perspective was somewhat naive and that the task would be almost impossible. 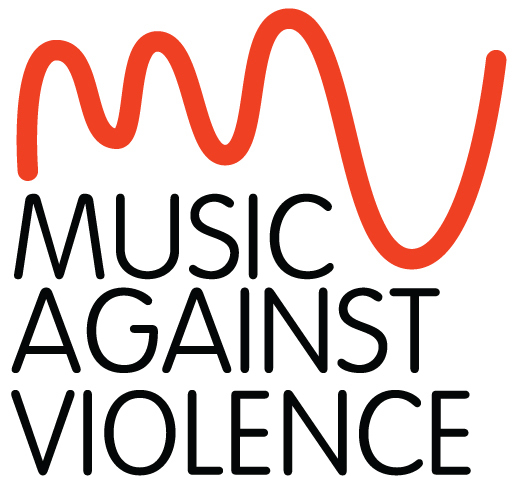 But since we so often were standing in front of an audience, we agreed that one has to do what is possible, through music and through words, to bring forward the message of humanity and non-violence. 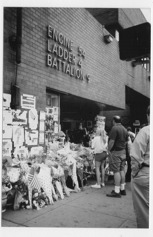 Fire station at Manhattan with flowers as condolences from grateful and compassionate people. 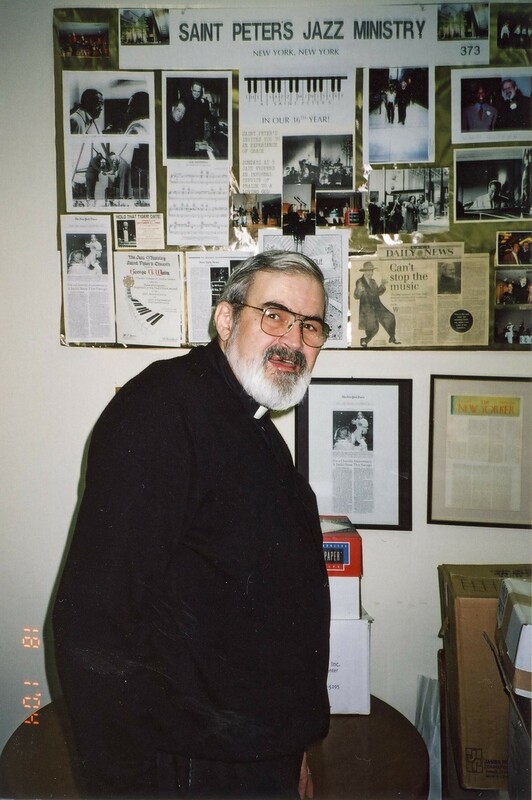 September 16 2001 we were scheduled for a concert in New York, followed by a tour to Rochester and Eastman School of Music for workshops and concerts. Because of the September 11 disaster, we were uncertain whether to go or not. However, we decided that the message of the music was so strong in relation to the recent events, so we decided to go, in spite of the situation. We went with the first flight that was alllowed to depart from Scandinavia to New York after the terrorist attack. 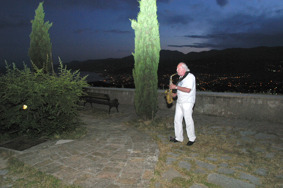 Our experiences of the aftermath of the disaster are not possible to express, but within this context the urge to perform music and work for just and non-violentl society was strengthened. Recorded in Ängelholm's church Sweden. Home again. After these overwhelming experiences from the US tour we had a couple of days' rest in Gothenburg. After that we went on a national tour in the middle of Sweden. The contrasts to the previous week were enormous and indescribable. We also performed at the Gothenburg International Organ Academy. At this festival the duo was extended to a trio, now including Alto saxophone, Pipe organ and Hammond organ. 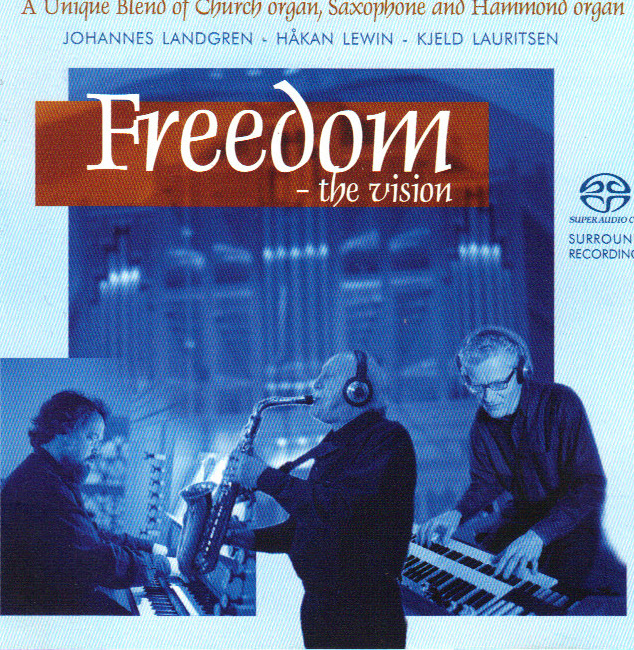 In 2002 we record the CD album "Freedom the vision" together with the danish Hammond organist Kjeld Lauritsen. The music on the album is a.o. derived from the tradition of Afro American Spirituals, combined with compositions by Ellington and Strayhorn. 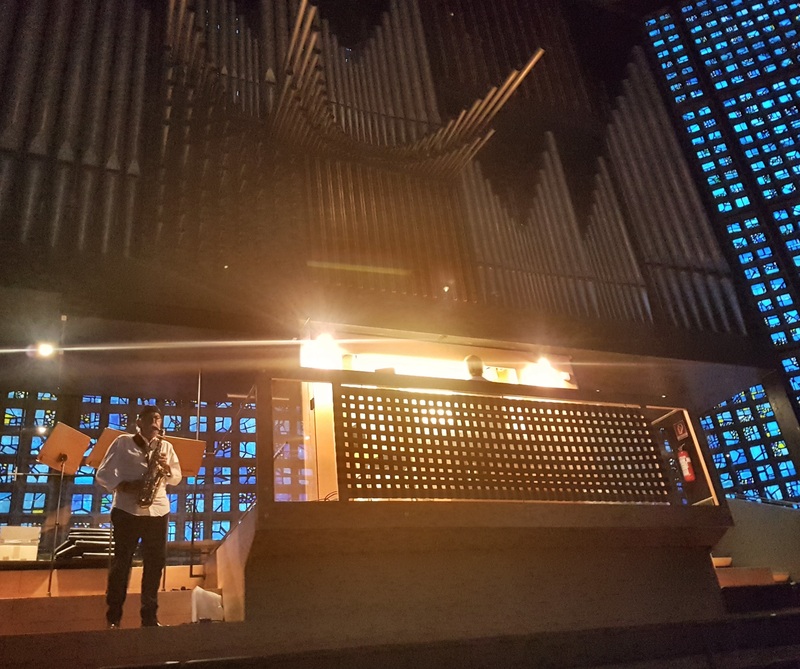 Two organists, trying out the organ in St Peter's church, Manhattan, New York. On Martin Luther King Day, January 18, 2004, we are again invited to New York. This time to the jazz church "St. Peter's Church" on Manhattan. The organiser wanted to invite us beacues of the obvious link between our music and the message of that particuar day; The Martin Luther King Day. The entrance to the church in Rijeka, Croatia. In July 2004 we tour, as a duo, in Croatia, including concerts in a. o. Rijeka and Sibenik. The jazz minister in St Peter's Church. Prelude to the concert in Rijeka. 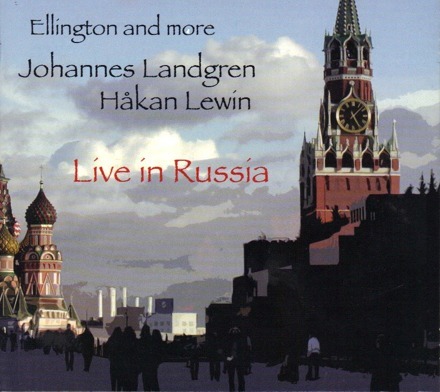 Håkan plays Thad Jones' ballad "A Child is Born". Together with Vedrana Koceic in a radio studio in Croatia 2004. 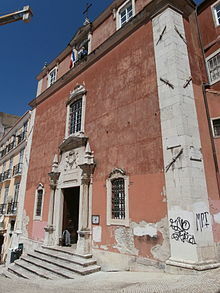 September 20, 2004 we played a concert in the French church (Igreja de Luis dos Franceses) in Lisbon. The concert was part of the 7th International organ festival in Lisbon (VII Festival Internacional de órgano de Lisboa). 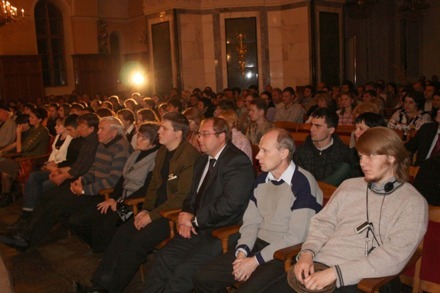 The church was packed and the audience sat everywhere -up to 2 meters from our feet. The doors towards the square had to be opened so that the part of the audience that couldn't get a seat inside the church, could stand outside and listen. 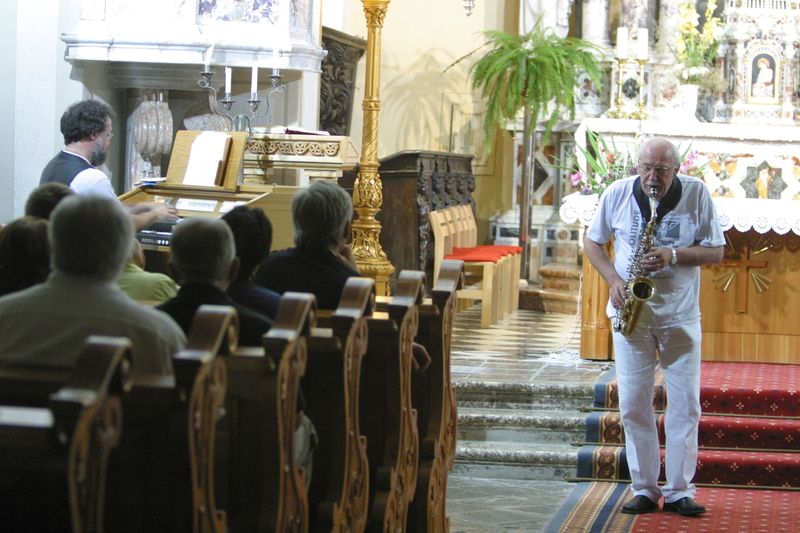 The Ellington music that we played there had never been performed before in Portugal. In the fall 2004 we visit Russia, and for the first time we participate in the unique festival "Jazz and Pipe Organ" in the city of Chelyabinsk (in South Ural, Sibiria). We play three sold out concerts. One of these is recorded and released as a CD album. In 2005 we take part in the founding of the organisation "Music Against Violence" (MAV) in Gothenburg. Wake up the creative and constructive forces in the society. Dissociate from, and expose alternatives to, all forms of violence, oppression and injustice. Build networks with the help of music, as well nationally as internationally, promote musical manifestation collaborate with organisations, societies and persons who work in the same spirit. In 2006 we play some concerts in Sweden as a quartet, featuring the Hammond Organist Pierre Swärd and the drummer Jon-Erik Björänge. 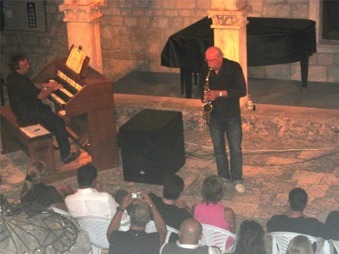 Concert image from the Island of Hvar in Croatia. 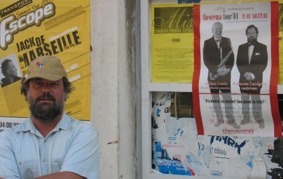 In the end of July 2007 we go on a new tour in Croatia. This time we play concerts in many different venues, from Osijek in the north to the island of Hvar in the south. 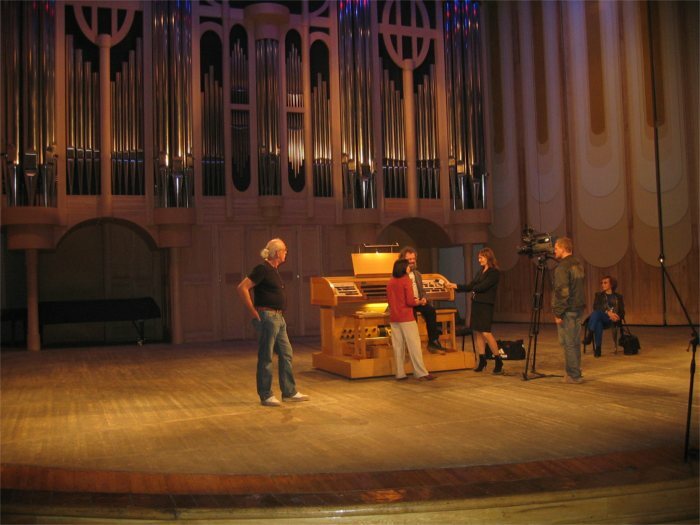 Sold out concert hall in Chelyabinsk 2008. 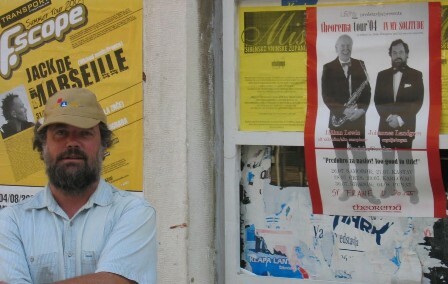 In 2008 it's time again to go to Russia and the festival in Chelyabinsk. This time we play duo concerts for sold out concert venues. 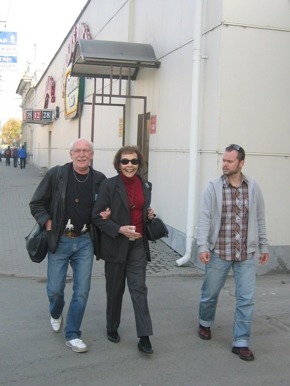 On our way to the concert hall in Chelyabinsk. 2005 we are back in Chelyabinsk,this time as a trio together with the drummer Jon-Erik Björänge. 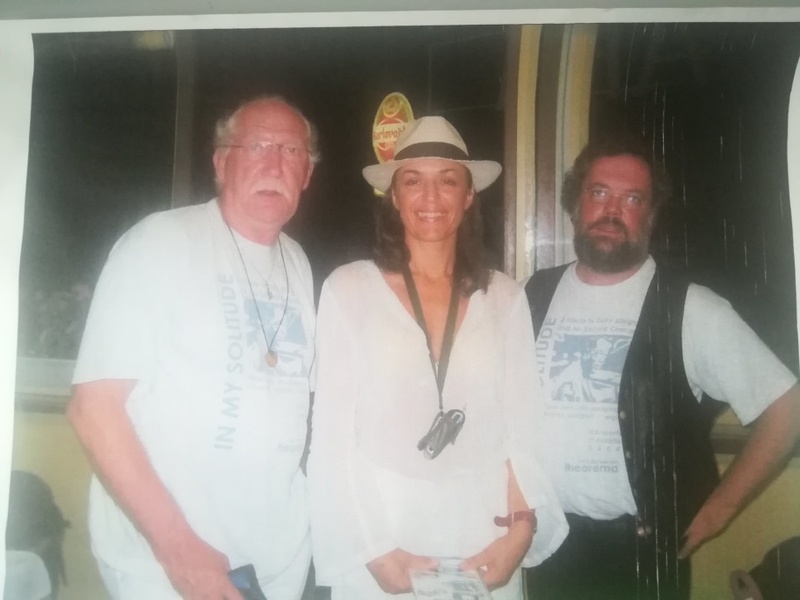 We also brought Patricia Willard, who had been working with Duke Ellington for 25 years and was very knowledgeable concerning Ellington, his music and his musicians. 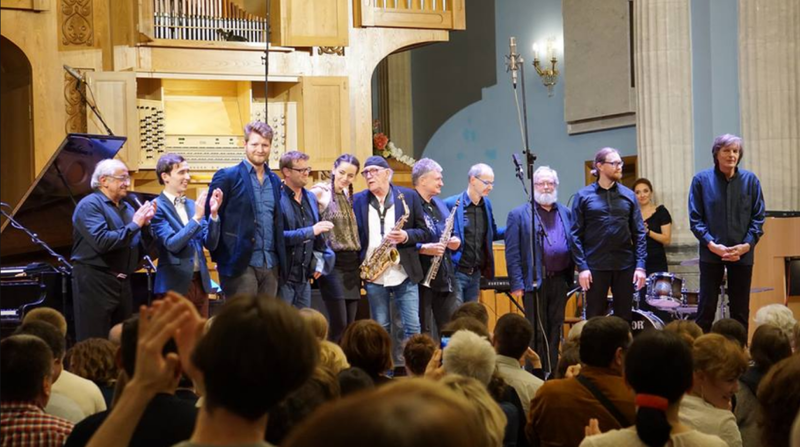 Patricia also introduced our concerts and followed us on a duo tour to Jekaterinenburg and Samara, where we playd in sold out concert halls. In Samara we had 1000 enthusiastic listeners. Soundcheck in Eureka, California, USA, in 2007. In 2007 we make a new tour in the US. This time we play in Washinton DC, Chicago and Eureka, California. 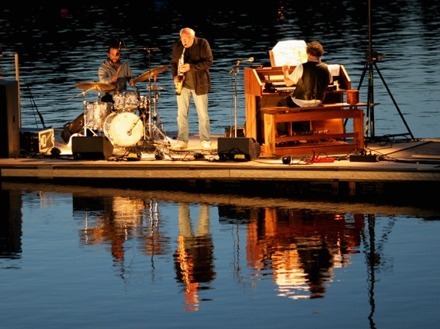 "Water Music" in Mölndal, together with Jon-Erik Björänge in 2008. Concert with Gothenburg Wind Orchestra in "Kronhuset" Gothenburg, Sweden in 2016. In the years 2009, 2010 and 2016 we played recitals with one of Sweden's professional wind orchestra: Gothenburg Wind Orchestra (GWO). On these occasions the orchestra was conducted by Örjan Fahlström. 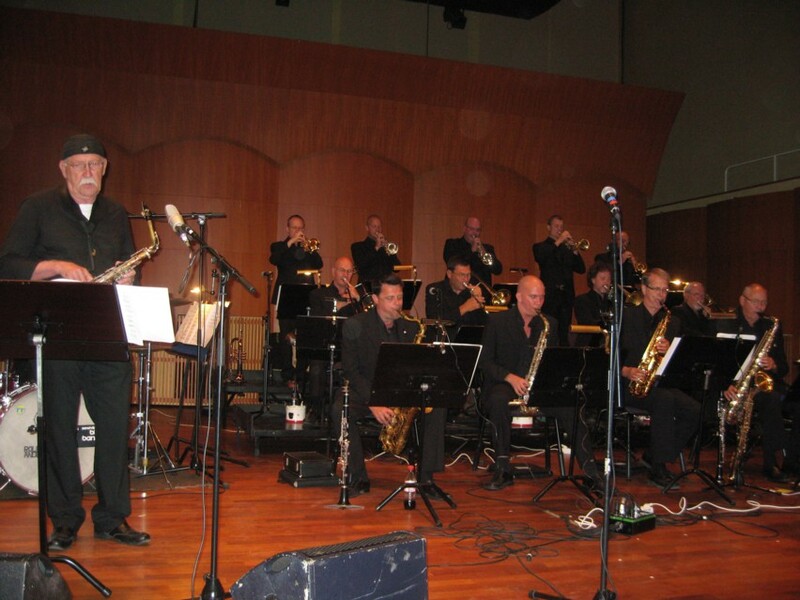 In 2009 we start to collaborate with "Sandviken Big Band". 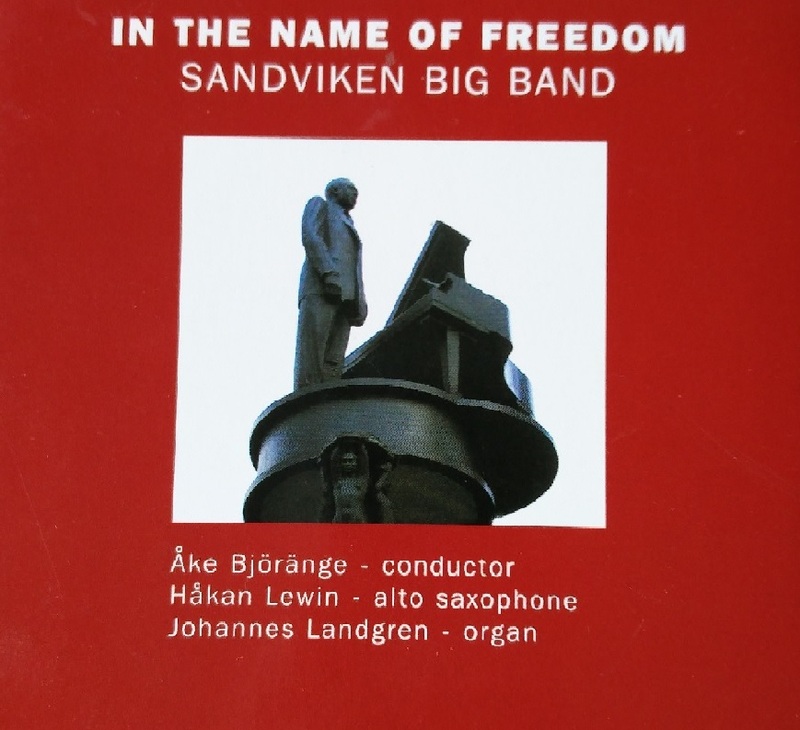 We record a double CD with the title "IN THE NAME OF FREEDOM". 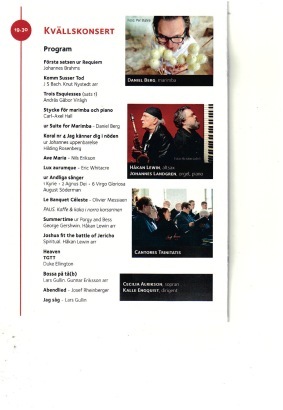 We also plays some concerts around Sweden. A last instrument check before the concert in Sunds church, Åland. 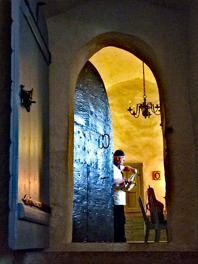 2010 we play a concert in "Sunds church" in the island of Åland. 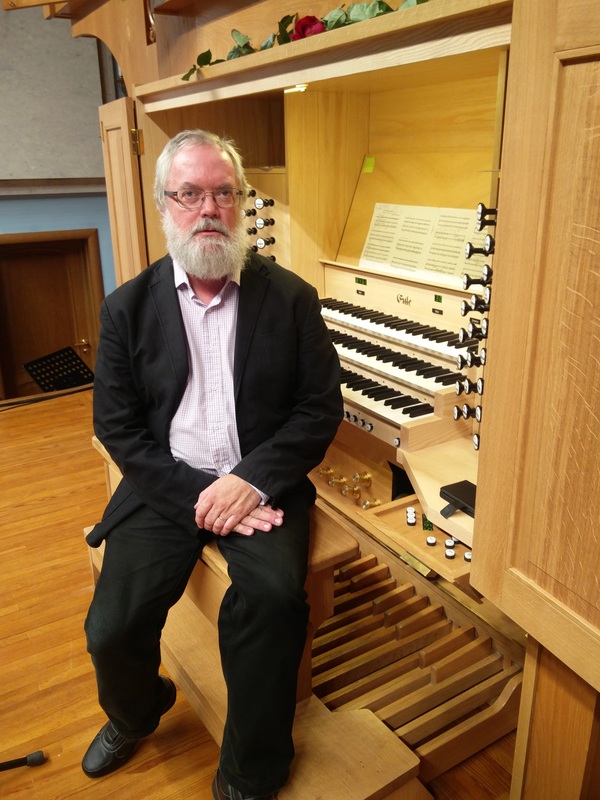 The concert was part of the "Åland Organ Festival"
Concert with Sandviken Big Band at the Academy of Music and Drama, Gothenburg. 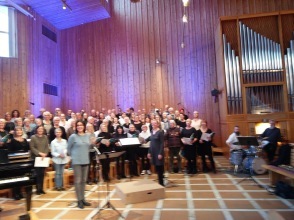 Rehearsal in Mölndal Sweden, 2011. 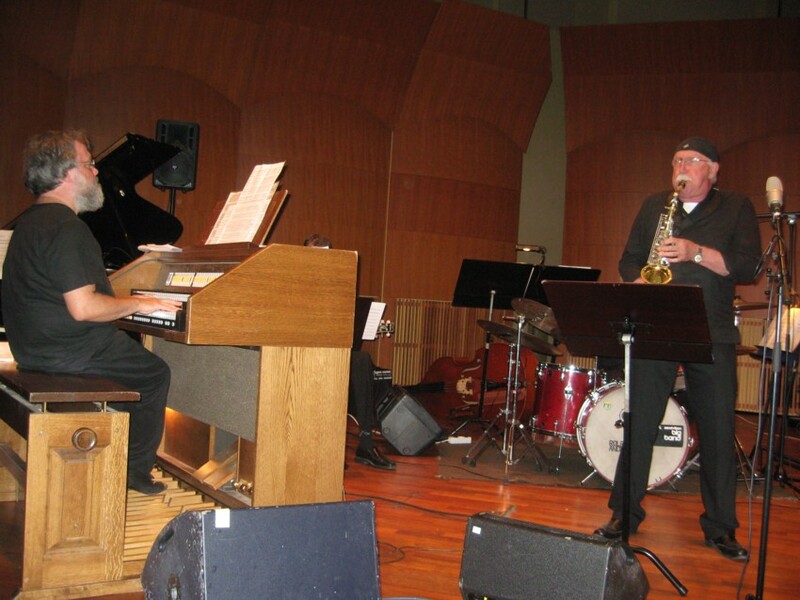 Most of our concerts are played as duo concerts in churches, often including music from Duke Ellington's Sacred Concerts. When we collaborate with choirs we can provide arrangements of this music, suitable for the occasion. 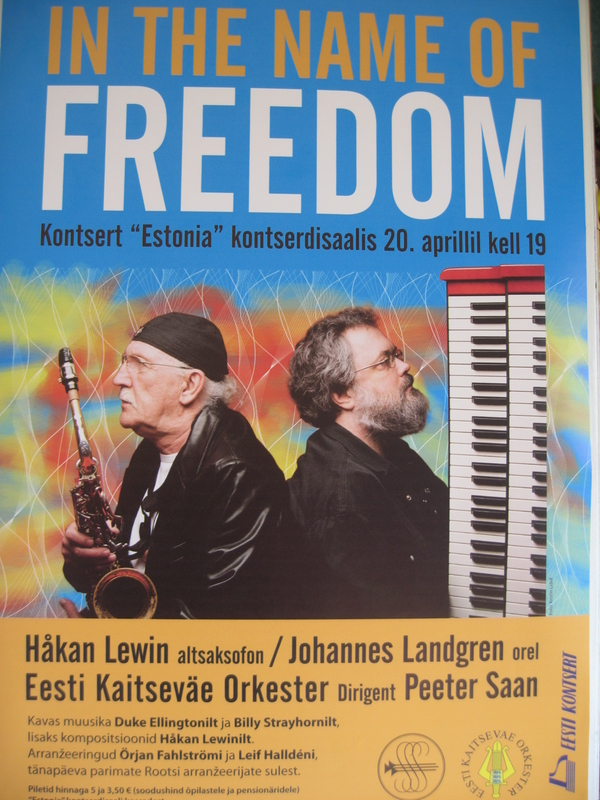 In 2012 we play a concert together with the "Kaitseväe Orkester" conducted by Peeter Saan. 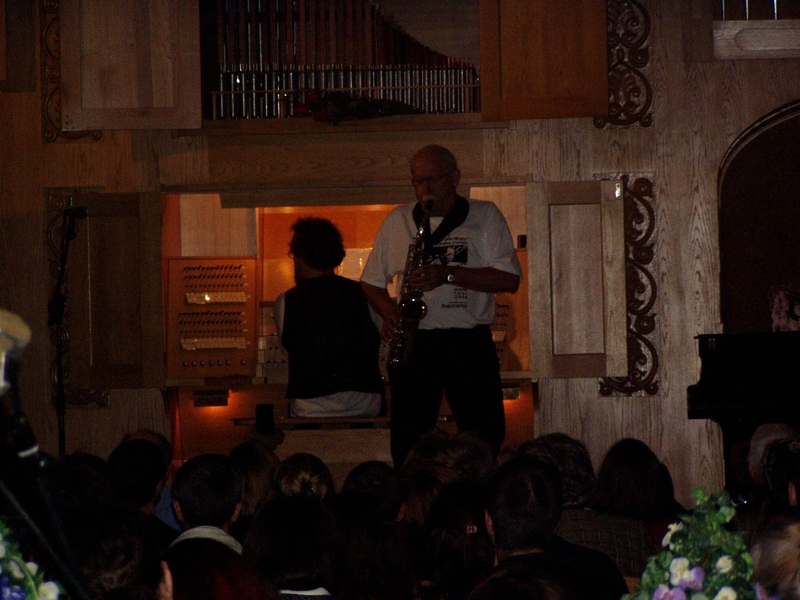 The concert was played in "Estonia" kontserdisaalis in Tallinn ,Estonia. The music, also in this concert, is composed by Duke Ellington and Billy Strayhorn. 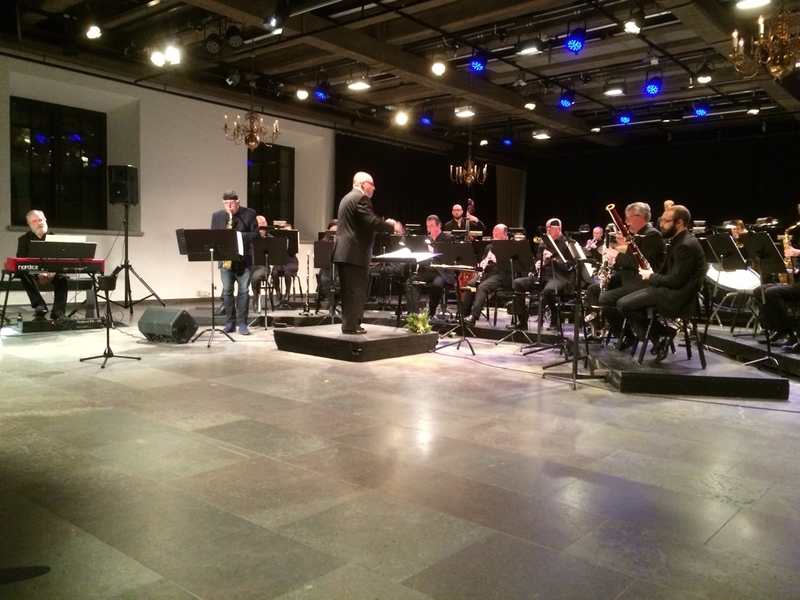 When we collaborate with orchestras, Wind orchestras or Big bands we can provide arrangements by some of Sweden's best arrangers. Rehearsal in Gaza-Almat`haf Hotel, Gaza. 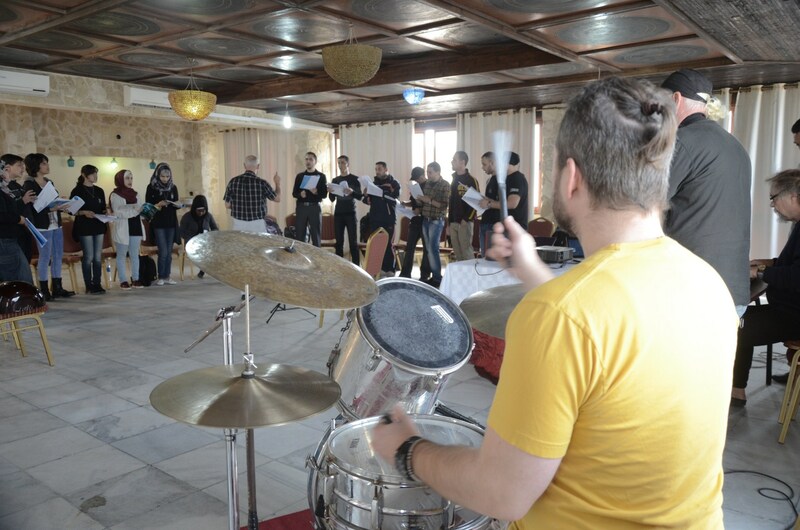 During 2013 we organise and lead (with economic support from the Folke Bernadotte Academy) a cultural project in Gaza, Palestine. The project is called "Gaza Singing for Peace" and the objetive of the project is to spread the message of humanity, compassion, justice, equal rights, non-violence and peace. 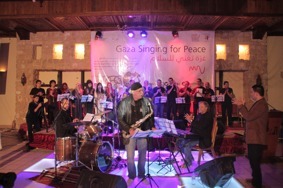 We played two concerts in Gaza City for, in total, 1400 persons. In this project Thomas Jutterström substituted Johannes Landgren. 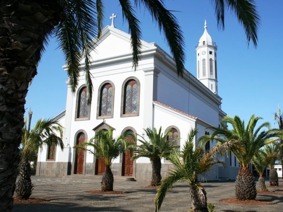 Igreja de Sao Martino church, Madeira. 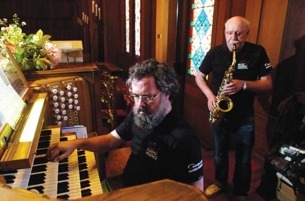 In 2013 we were, again, invited to Portugal; this time to the "Madeira Organ Festival". We played our concert in Igreja de Sao Martino Church in Madeira, October, 23rd. 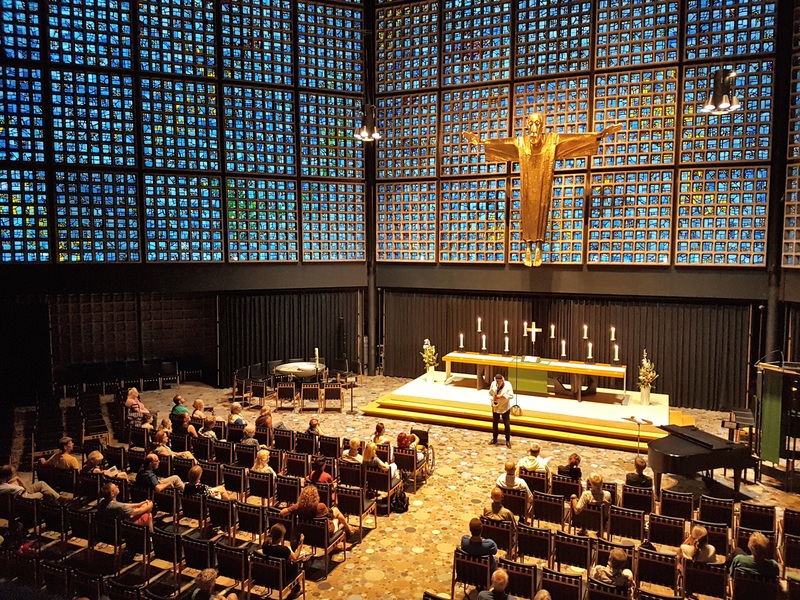 Memorial Church, Berlin, with Johannes in the distance, at the organ loft. 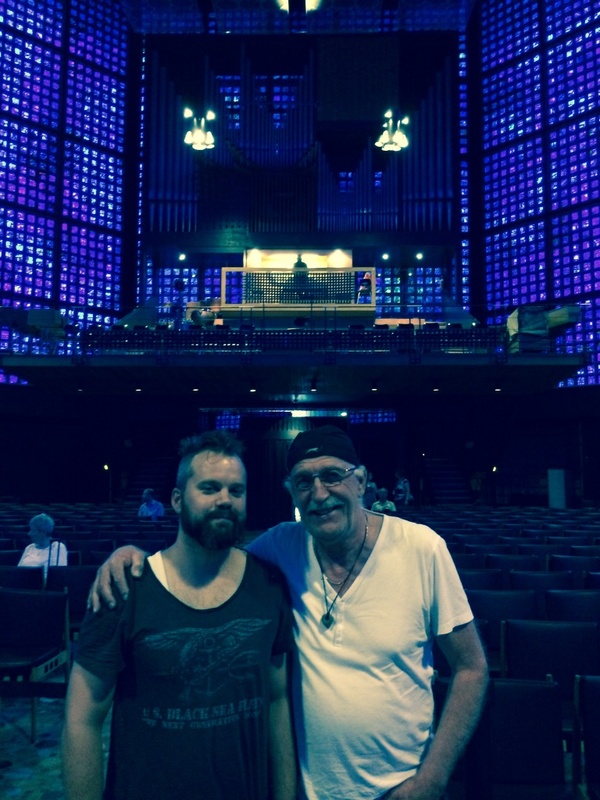 The 4th of July 2014 we play a concert together with Jon-Erik Björänge in the "Memorial Church" ("Gedächtniskirche") in Berlin. 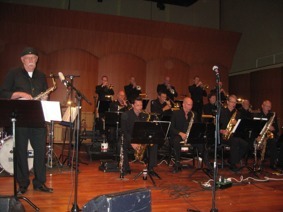 The concert is recorded for future CD release. The project "Gaza Singing for Peace" continues during 2014. The intentions were to play the concert also in Ramallah and Jerusalem. Due to difficult circumstances this did not succeed. 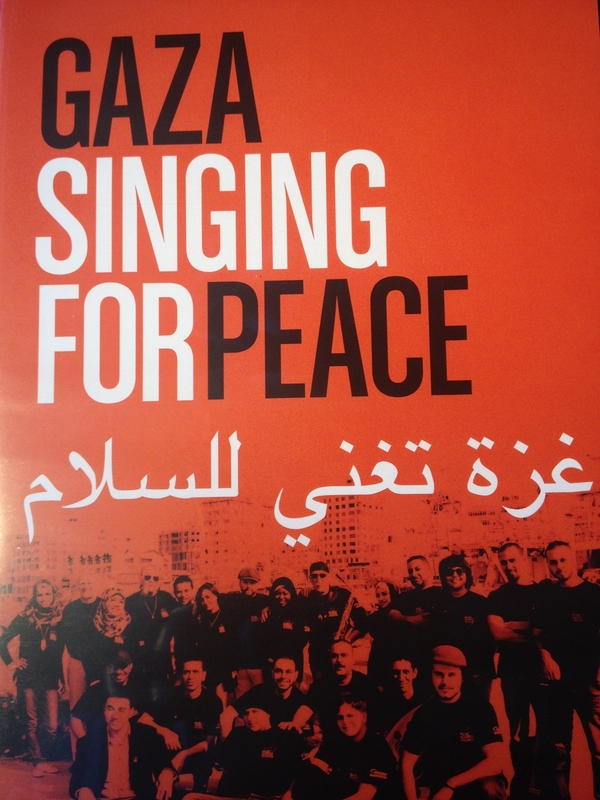 However, we produced a DVD, titled "Gaza Singing for Peace". This was made possible through internet connections between studios in Gaza and Gothenburg and through filmed material from authentic environments in Gaza. 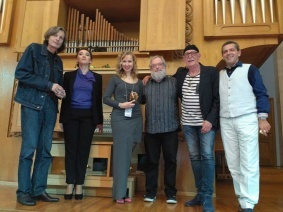 Performers of the "Jazz and Pipe Organ" festival in 2015. In February 2015 we are, again, invited to Chelyabinsk for another festival under the name of "Jazz and Pipe Organ". This time we play in a totally newly built concert hall. 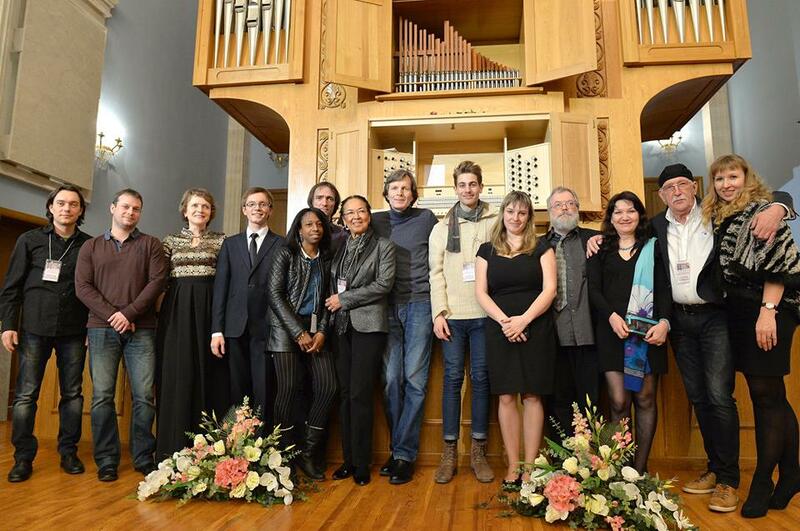 The participants come from France, Germany, Russia, The Netherlands and the duo Lewin-Landgren from Sweden. On the UN day, October 24th 2016, we played together with a.o. 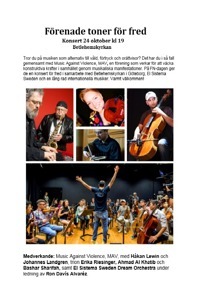 El Sistema Sweden Dream Orchestra. 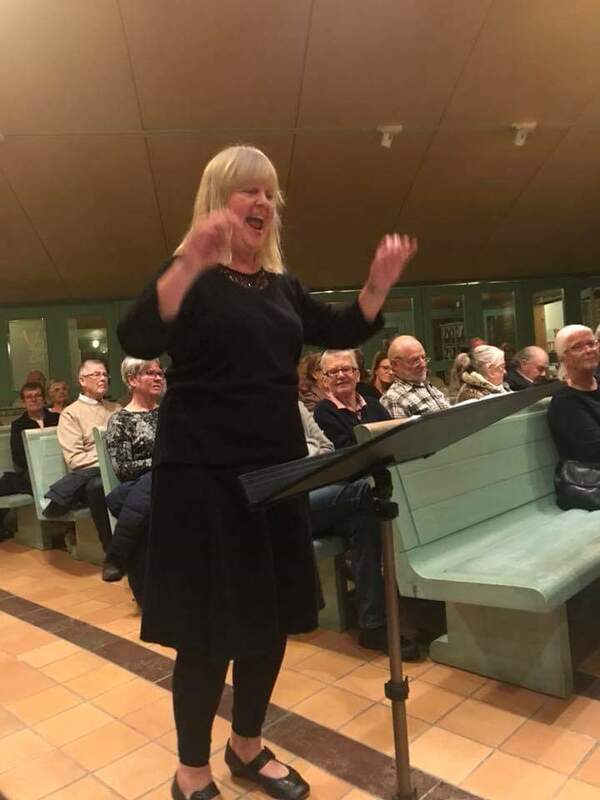 The concert was given the title "Förenade toner för fred" and attracted quite a big audience. 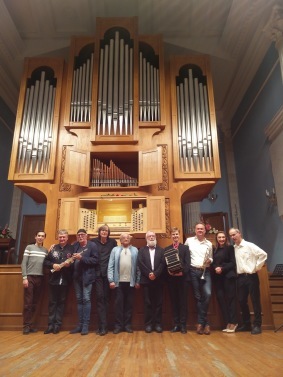 The concert was held in the church "Betlehemskyrkan" in Gothenburg. 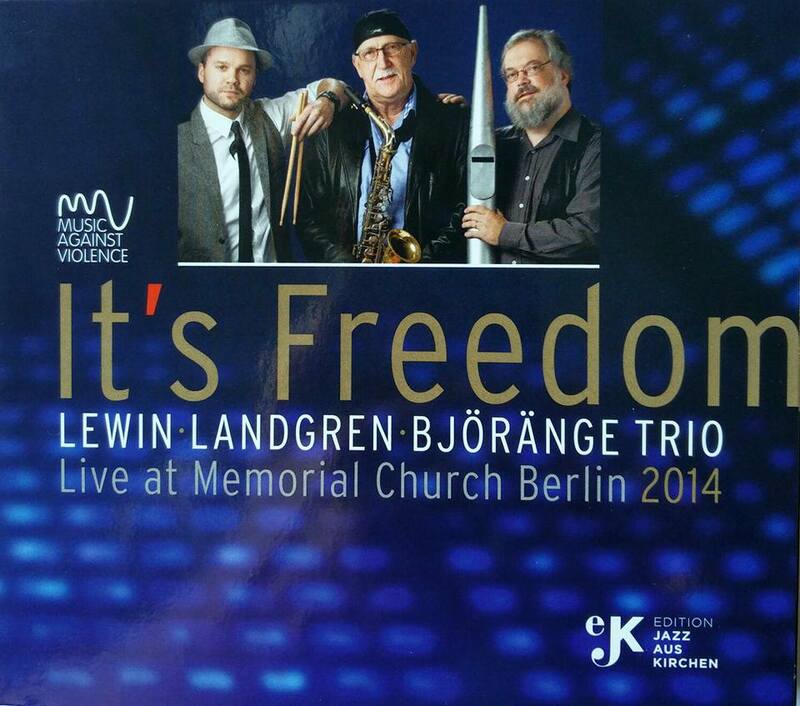 In September 2016 we have the release of the CD recording "It´s Freedom" - Landgren Lewin Björänge Trio Live at Memorial Church Berlin 2014. The Betlehem Church Gothenburg, Sweden October 24th 2016. Some voices from the audience, as well as an image from our tour. 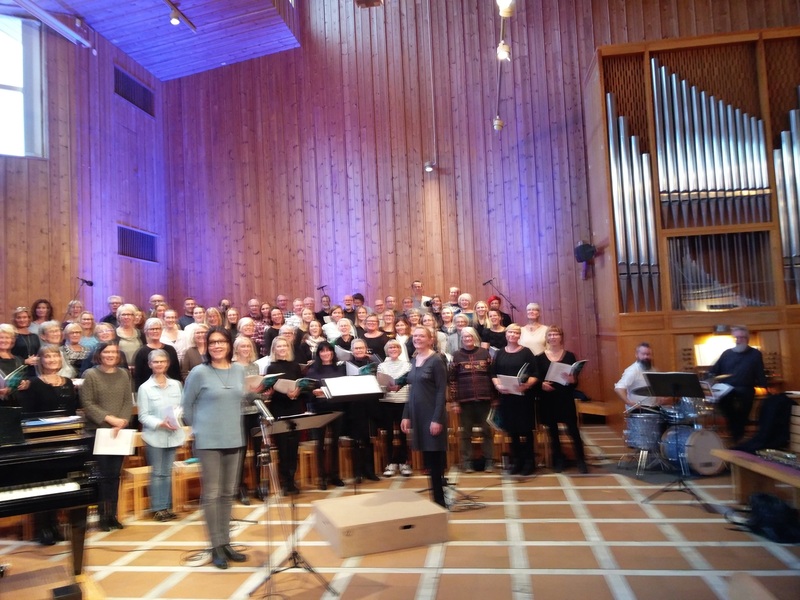 "Just wanted to write a few lines and thank you so much again for a fantastic concert today in Västerhaninge Church. It was truly amazingly beautiful. Both compassionate and emotional. I was really touched in the depths and if you're a music lover, it's all in my mind and heart ". "A BIG AND WARM THANK YOU for sharing your talent and musicality! Enjoyed the yesterdays concert and were also touched by tears." "Awesome concert in Arjeplogs church!" The last concert September 29, 2017. 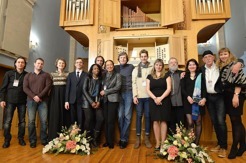 The fifth "Jazz and Pipe Organ" festival in Tjeljabinsk, Russia. Three days (27-29 of September 2017), with musicians from Germany, Poland, Norway, Russia and the duo Lewin-Landgren from Sweden. Each concert is virtually sold out and as usual an incredibly enthusiastic audience. 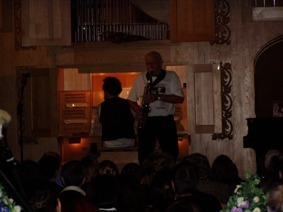 It's actually a little special to play for the Russian audience! A big and warm thanks to Vladimir Khomyakov and his co-workers, no mention and nobody forgotten for a great job! To the left of the picture Vladimir Khomyakov. Germany Tour August 2018. 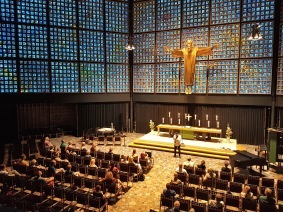 Concert in Kaiser-Wilhelm-Gedächtnis-Kirche Berlin, August 9, 2018. Johannes at the organ in Gedächtnis-Kirche. 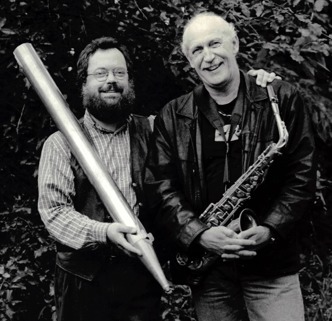 Lewin Landgren Duo celebrates the 20th anniversary. 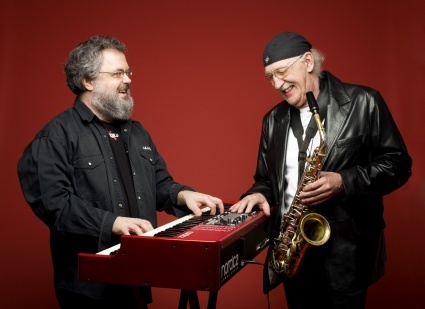 In the fall of 2018, Lewin-Landgren Duo has been active for 20 years. The first concert was played in Stora Tuna Church, Borlänge Sweden, autumn 1998. 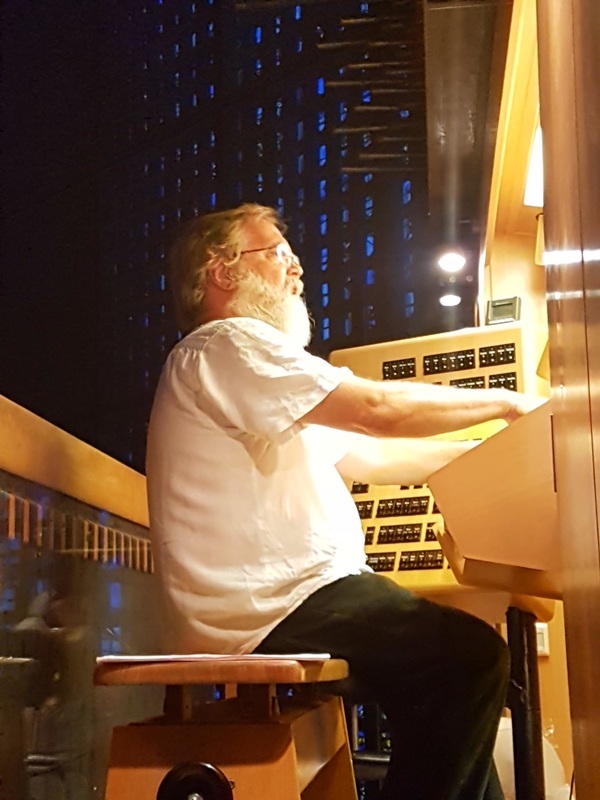 During these 20 years, Duon has played hundreds of concerts on duo, trio, along with choirs and larger ensembles, in Sweden and abroad. 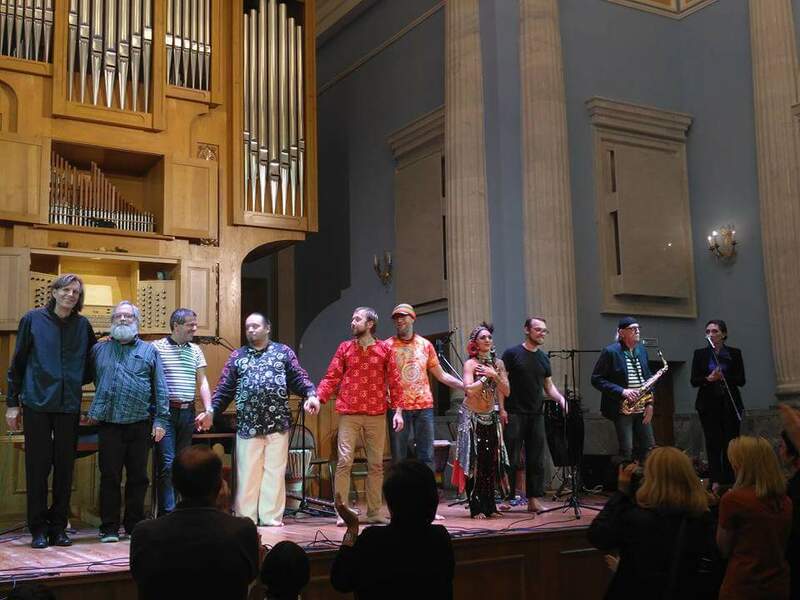 There have been 4 USA tours, 6 concert visits in Russia, 3 summer tours in Croatia, cultural exchanges with Gaza (Palestine), countless tours in Sweden, as well as concert visits in most European countries. Several radio and television programs have been recorded and 6 CDs have been produced. We will celebrate these 20 years with jubilee concerts, in the fall of 2018 and spring 2019, starting in Tjeljabinsk, Russia, 26-29 September 2018. The festival was organized for the sixth time, starting in 2004. Lewin & Landgren Dou has had the great honor to participate in all festivals, 2004, 2005, 2008, 2015, 2017 and 2018. The festival will continue in 2019 and the Duo is already invited. Partisipaiting artists in the festival. 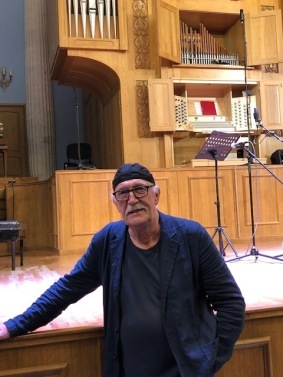 The finaly concert at the sixth festival "Jazz and Pipeorgan" in Tjeljabinsk,Russia. The artists are from Austria, Israel, Germany, Russia and Sweden. Attended as one of the programs in the Cultural Days of the Heliga Trefaldighets Church in the city of Kristianstad Sweden, 19-20 October 2018. 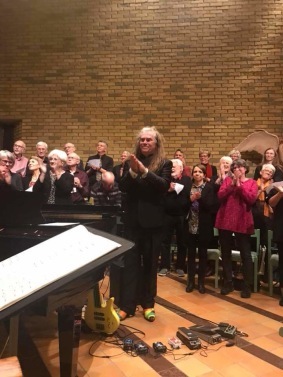 Concert on trio, along with drummer Jon-Erk Björänge and a project choir led by Maria Ydeborg at the Immanuel Church, Jönköping on October 27, 2018. 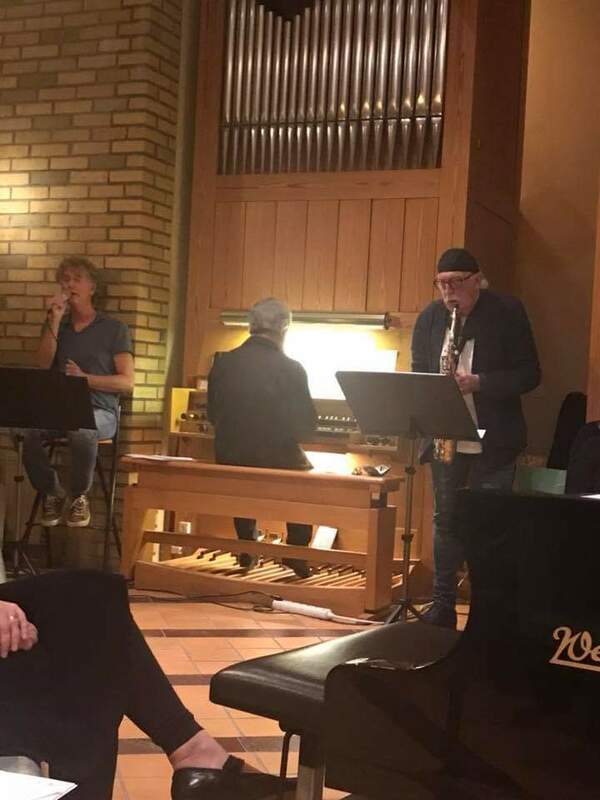 Concert at Stenjö church Mölndal, October 28, 2018. 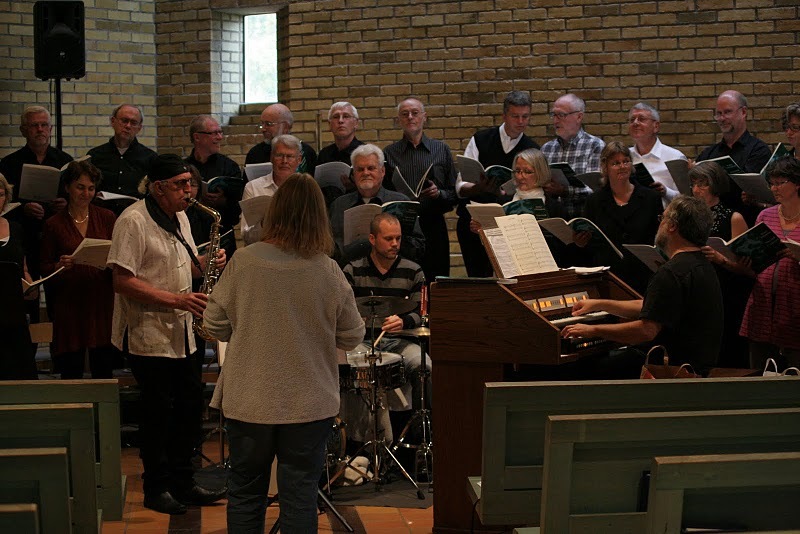 In addition to Lewin-Landgren Duo, Stenjö church-choir led by Birgitta Landgren, Magnus Rosén and Ulf Sarner participated in the concert. 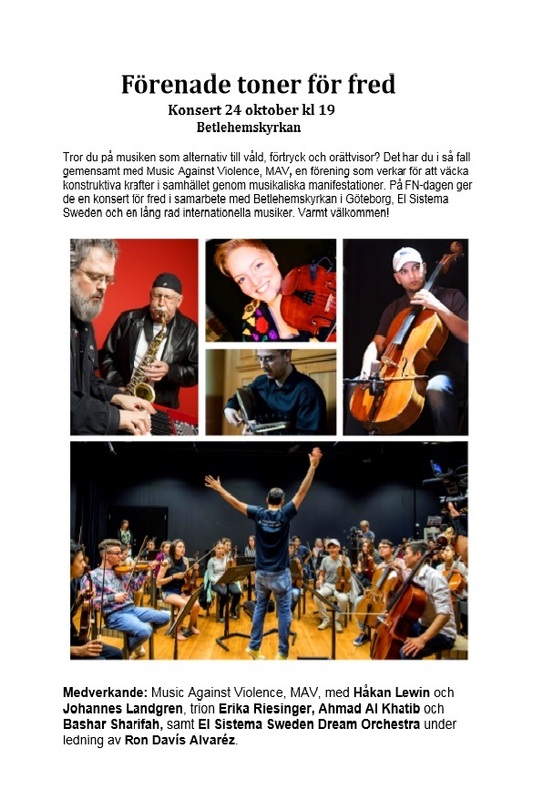 This concert was a co-arrangement between Stenjö church and MAV (Music Against Violence Sweden). Birgitta Landgren conduct the church-choir. Magnus Rosén thanks for the applause after his solobass program. 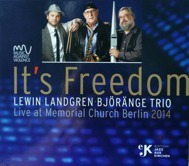 Ulf Sarner singing, Kurt Lindgrens "I Have a Dream", together with Lewin-Landgren Duo.